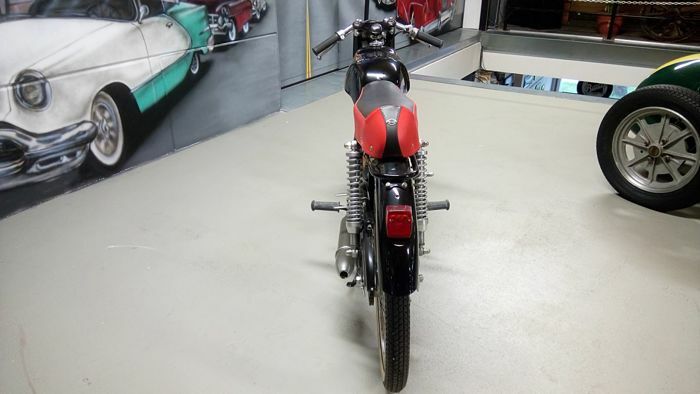 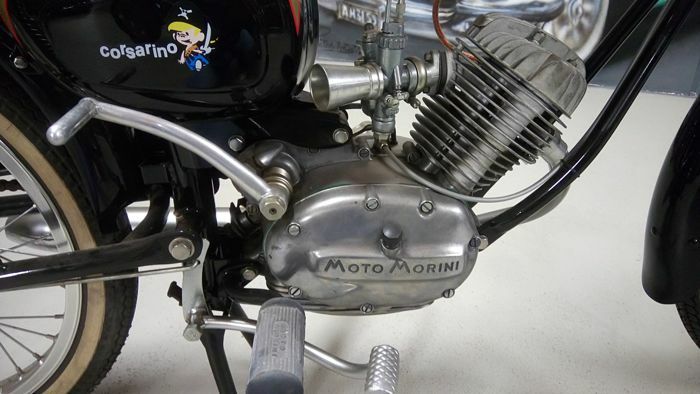 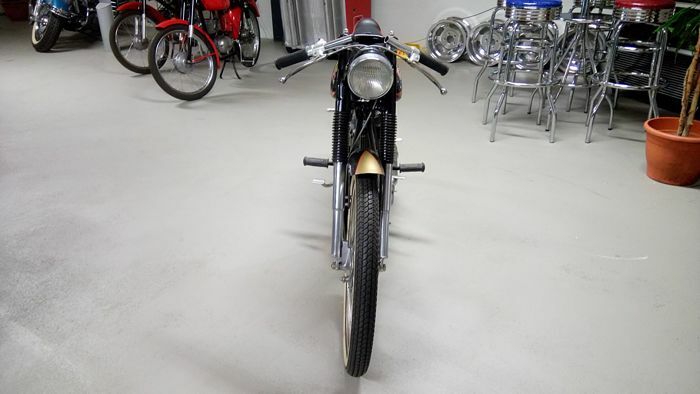 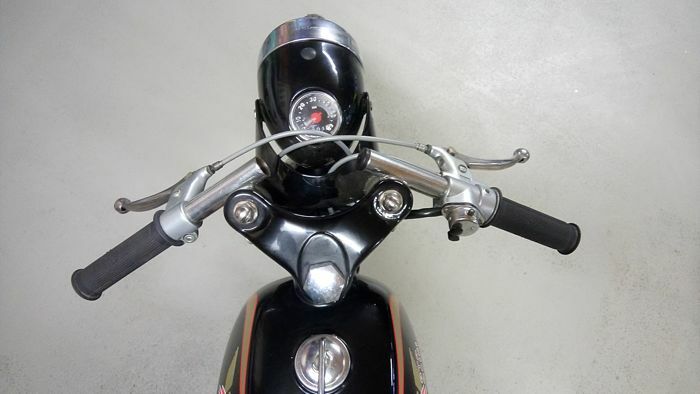 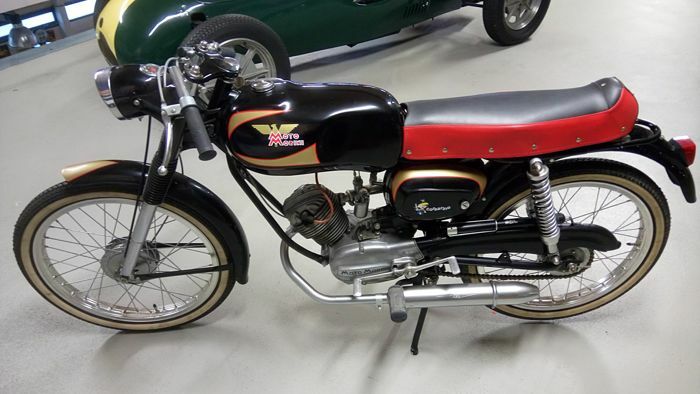 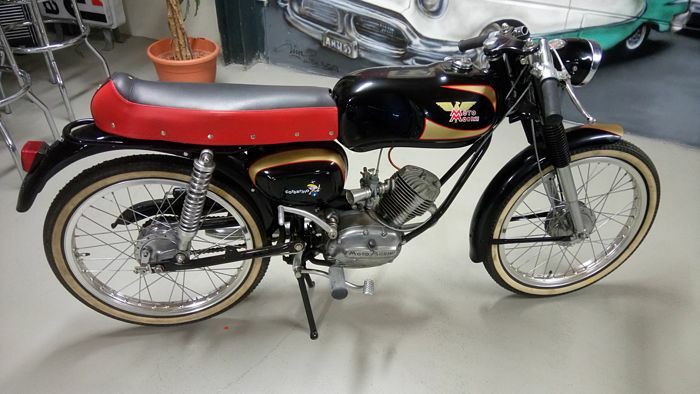 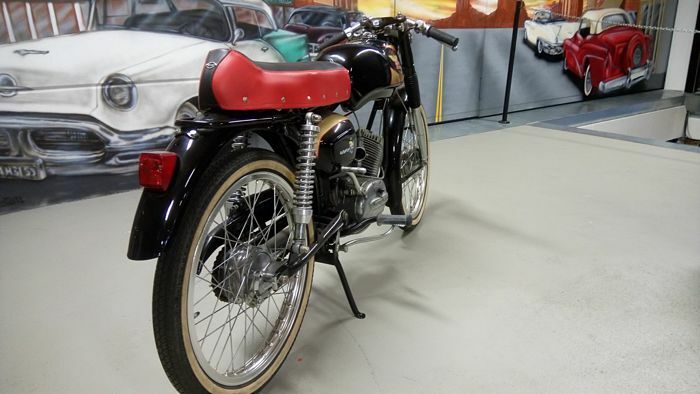 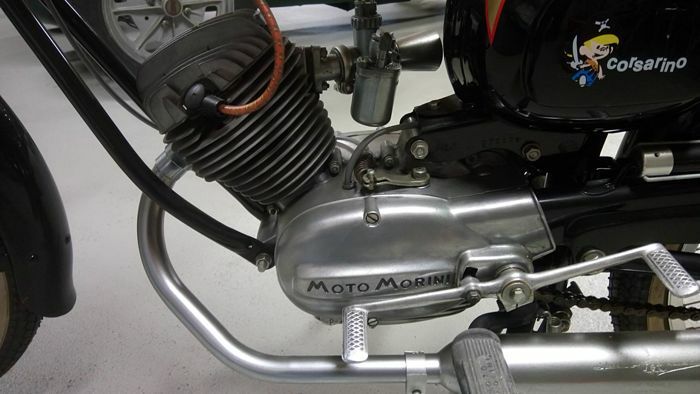 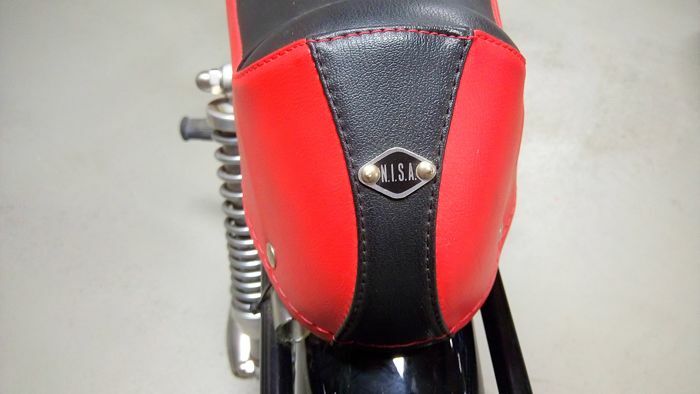 Moto Morini 50 cc moped in new condition. 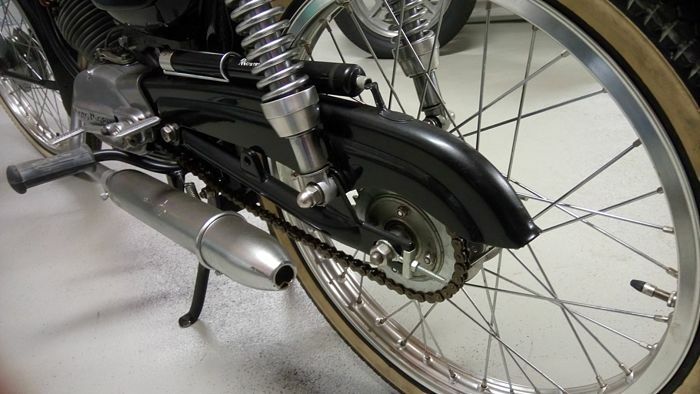 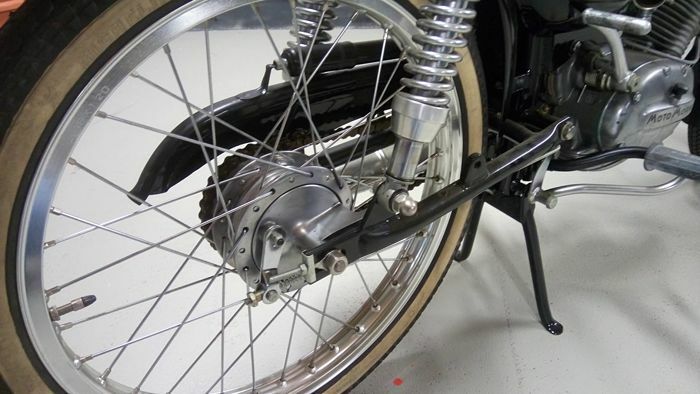 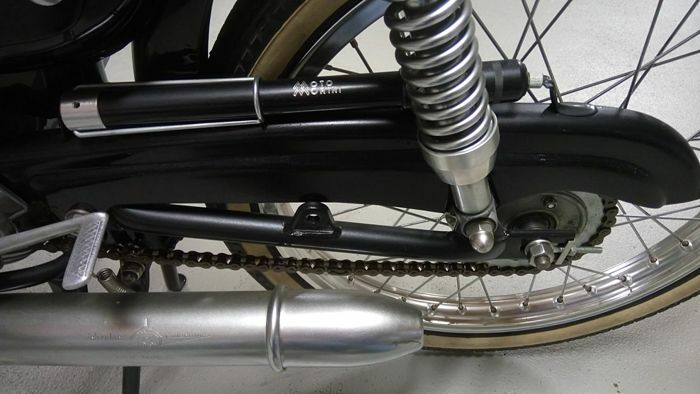 A 4-stroke engine and aluminium rims: a pretty picture. 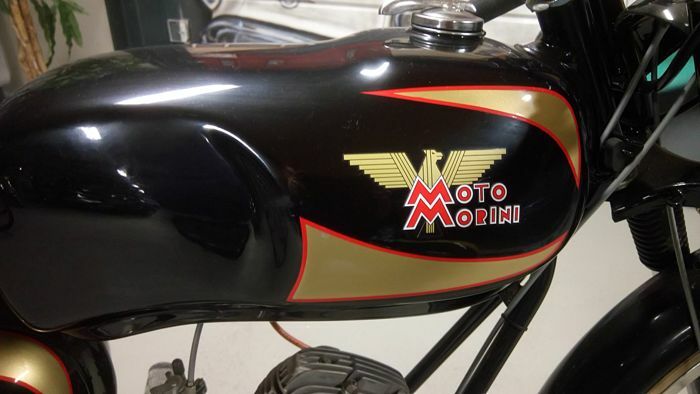 The Moto Morini drives and shifts well.